In November we wrote about the whitewashing of 5 Pointz in Queens, a graffiti mecca that will soon become a residential high rise with retail space. 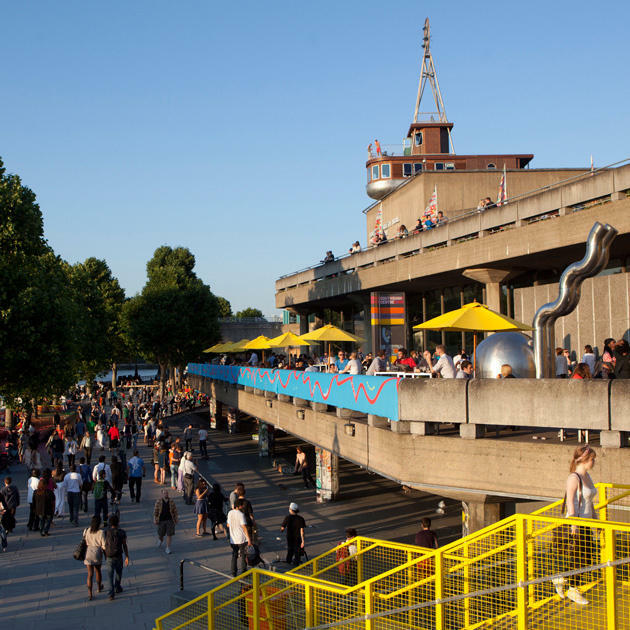 Over the past few months, a similar controversy has been brewing between London’s Southbank Centre and the skateboarders who have been a fixture of the building’s undercroft (considered architectural dead space) for over 40 years. This entry was posted in Arts Access, Beyond Levitt and tagged 5 Pointz, BFI, Golden Jubilee Bridge, graffiti, Hayward Gallery, London, Long Live Southbank, Royal Festival Hall, skateboarding, Southbank Centre, Tate Modern on January 10, 2014 by Melissa Smith. Early Tuesday morning, a warehouse building in Long Island City, Queens, had its exterior walls painted white. This would usually not be notable. But for the past 20 years, the 109-year-old building, lovingly-known as 5 Pointz, had been a refuge for New York’s graffiti and street artists who lived, worked and exhibited in the space. Tourists by the busload flocked to see four brick stories colorfully—and legally—covered by the spray paint, sharpies and chalk of over 1500 artists from France, Japan, Brazil and beyond. Street art aficionados noted their favorite tags, while others took in the Aztecan-meets-Keith Haring murals or off-kilter, post-apocalyptic scenes. But it all disappeared on Tuesday. This entry was posted in Beyond Levitt and tagged 5 Pointz, graffiti, hip hop, Keith Haring, New York City, Queens, street art, Style Wars, urban renewal, Wild Style on November 22, 2013 by Melissa Smith.